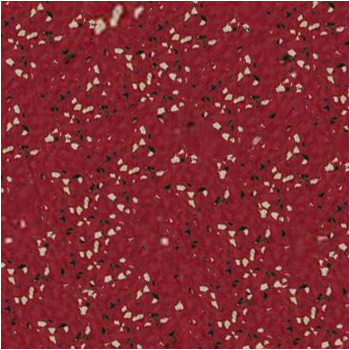 Rubber flooring for heavy traffic areas, with hammerblow surface and granule effect. Withstands forklift/heavy wheeled traffic up to 850 PSI rolling load. Slip resistant in compliance with OSHA requirements. GREENGUARD Gold Certified for Low VOC Emissions.